I found an interesting item recently, after a short session of surfing the Internet.﻿ You know those leisure days when all you really need is resting on your porch/terrace/balcony, reading a good book, or having a nap along with your kitty? I myself adore those quiet times. Therefore, I strongly suggest you get a comfy chair to suit this scenario. 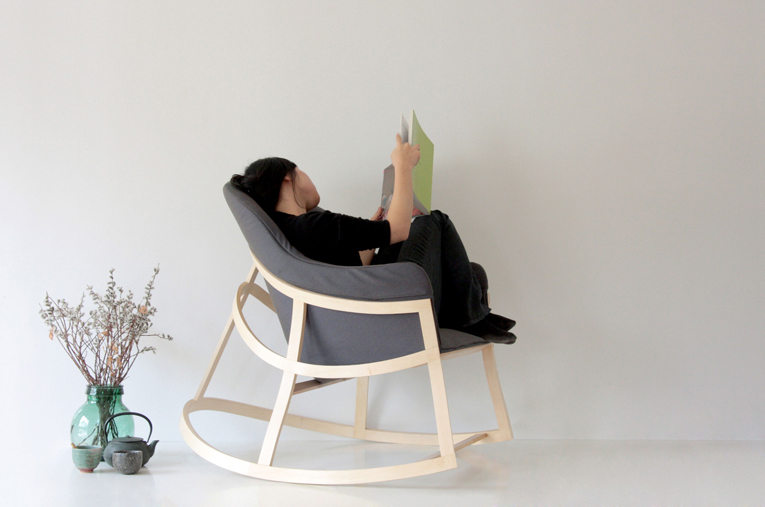 So when I saw Dancing Chair, from designer Constance Guisset I knew that my homy relaxation days could get better. 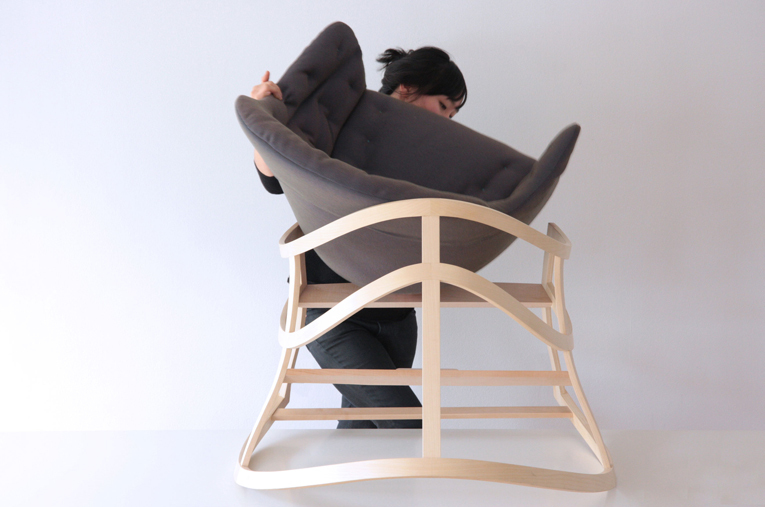 Presented at Paris, and Milan, at Furniture Fair 2009, Dancing Chair is made out of two pieces, a lounge seat "cast" in a wooden rocking chair structure and a footstool perfect for when you're having incredibly heavy feet, both with the same "crinoline" design. I can already see me in it!